Donald Trump's visit to Israel is part of his first trip abroad as US president and follows an initial stop in Saudi Arabia. Donald Trump has sent mixed signals about how he will approach the Israeli-Palestinian conflict. Jerusalem: US President Donald Trump visits Jerusalem Monday to seek ways to achieve Israeli-Palestinian peace, a goal that has eluded his predecessors but which he says could be easier than "people have thought". "Jerusalem was and will always be the capital of Israel," Netanyahu said late Sunday. "The Temple Mount and the Western Wall will always remain under Israeli sovereignty." "I will discuss with President Trump ways to strengthen even further the first and strongest alliance with the US," Netanyahu said Sunday. "We will strengthen security ties, which are strengthening daily, and we will also discuss ways to advance peace." The United States is Israel's most important ally, providing it with more than $3 billion in defence aid annually. "It is something that I think is frankly maybe not as difficult as people have thought over the years," Trump said when meeting Abbas in Washington earlier this month. 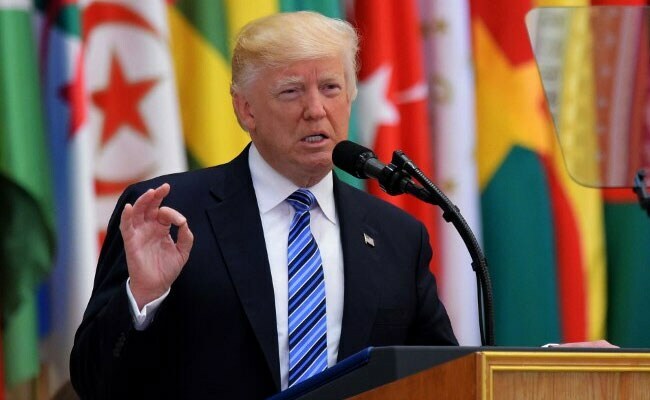 In Saudi Arabia on Sunday, Trump told dozens of Muslim leaders the time had come for "honestly confronting the crisis of Islamic extremism". He also lashed out at Iran, accusing Tehran of fuelling "the fires of sectarian conflict and terror" and calling for its international isolation.